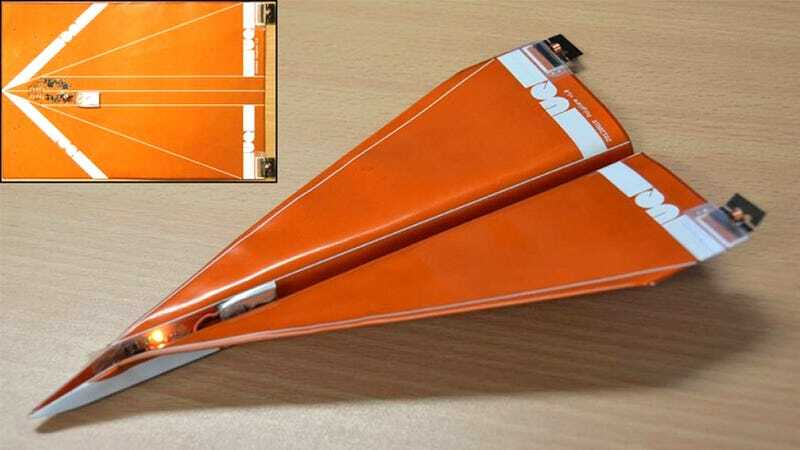 Technically, this steerable paper airplane wasn't designed for making pinpoint attacks on a teacher or college lecturer—more as a highly affordable unmanned aerial vehicle that could be used to blanket a given area with cheap sensors. But clearly the researchers at the University of Queensland haven't realized the full potential of their creation. Recently developed technologies, like inkjet printable circuits, ultra-flat batteries, and even shape memory polymers, have made a creation like the Polyplane, that uses ailerons controlled by onboard electronics, possible. And even if the paper drones end up costing far more than a regular old sheet of copy paper, losing one is negligible compared to the costs of the unmanned drones currently circling the skies.